Corrective Action and Preventive Action (CAPA) management is the focal point of an effective quality management system. FDA, ISO, EMEA, and other regulatory bodies expect robust systems for management of CAPAs using a systematic approach. Manage CAPA records originating from any department, function and site utilizing a centralized database and single-user interface. UniPoint is a highly configurable Quality Management System that also provides corrective action software, which enables your organization to manage and track all originating events and issues as part of the CAPA process. A key component of an effective CAPA system is the management of investigation tasks, which are initiated to determine the root cause of the problem. The flexible UniPoint architecture enables your organization to manage all related investigation tasks and actions, and ensures that root cause analysis is performed and documented before moving on to further steps in the process. Assign investigation "tasks" to investigation team members, and track these tasks through completion. Investigators document findings via easy-to-use workflow tools. Investigation results and attachments are electronically associated within the system. UniPoint monitors status and escalates investigations which are not progressing on schedule. The Lead Investigator is notified as the team documents investigation results. Users identify root cause classification and sub-classifications using drill-down selections. UniPoint employs pre-configured workflows that address all aspects of CAPA development, approval, implementation, verification and effectiveness. Investigations, corrective actions, preventive actions and effectiveness checks are created as "children" records to the originating event or issue, and are identified with the applicable problem, investigation and root cause(s). This provides the necessary traceability and workflow integration required to streamline the overall CAPA process. The UniPoint Coordinator® 24/7 Business Rules engine monitors key milestone dates to ensure investigations and CAPAs are closed on time. For example, if an investigation must be completed within 30 days, the UniPoint Coordinator could notify the lead investigator and the originator seven days from the deadline, and then notify QA four days later. This escalation can continue as needed with conditional logic based on risk level, product type, impact, and any other criteria. The UniPoint Coordinator can also issue "AutoReports" to users as PDF email attachments. Report formats, schedules, and distribution lists are fully configurable. Easy-to-use search tools provide your organization the ability to retrieve valuable information based on security levels established in the user profile. The Ad Hoc Query Builder enables authorized users to search the database using criteria specified for any number of data fields, such as event type, product, batch number, system and responsible person. The Full Text search tool allows users to search free form text and text-based file attachments. UniPoint Query tools are directly integrated with the built in reporting functionality, powered by Crystal Reports from Business Objects. The system generates powerful and validated trend reports that provide senior managers the critical quality information necessary to make confident GMP decisions. UniPoint is a proven industry solution for management of global needs requiring corrective action software, with deployments ranging from one site to 60 sites. Customers have consistently passed FDA and other regulatory inspections while reducing operational and overhead costs. 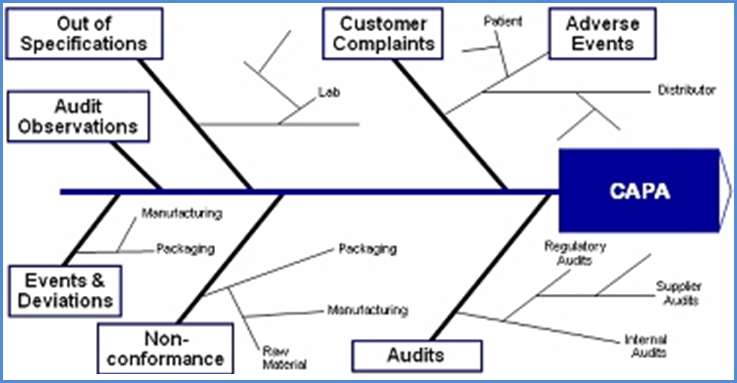 Are you investigating best practices in your distribution or manufacturing process? Do you want to control your internal processes cost effectively? Do you have a continuous improvement process in place? Are considering getting certified for a quality standard? Hundreds of companies are using Quality for SYSPRO as a best practices tool for their organization.